Did you like the orange and black version of our love boat bag? well, you will adore the new pink/ Black one then! 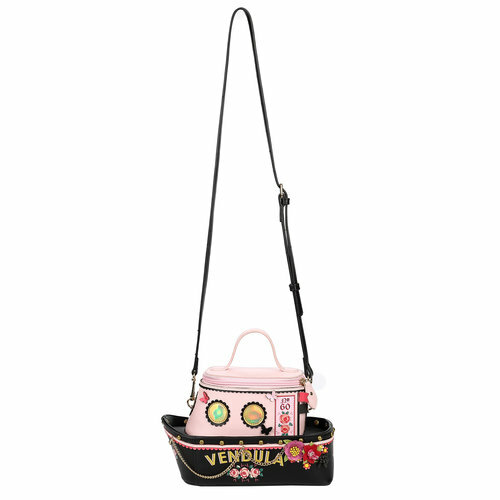 This boat-shaped bag is bizarre, fun and unique, this bag will make you smile and all the people you meet. 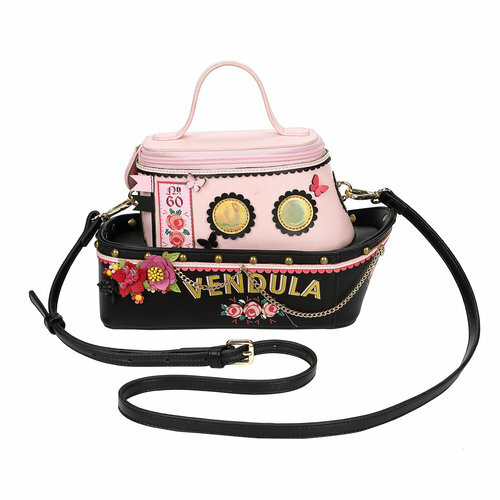 The Vendula London Love Boat Gab Bag is a lovely compact bag that can be worn as a cross body with a shoulder strap. 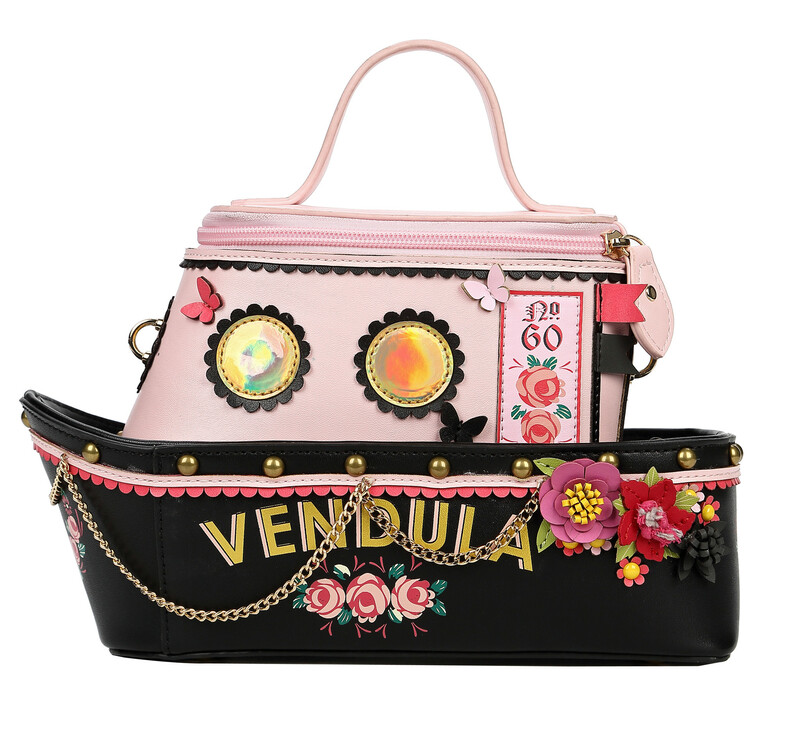 It is adorned with applique and stitched details featuring fabric flowers, golden chains, and brass nail studs and vegan leather artworks. 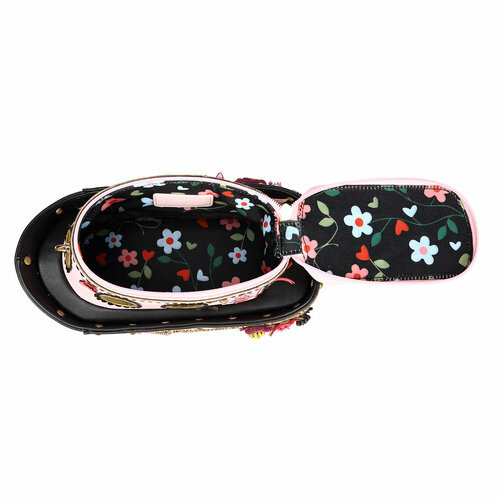 This busy and charming bag closes with two zips at the bottom and comes in high quality vegan leather + flower printed cotton fabric lining. All aboard for autumn!